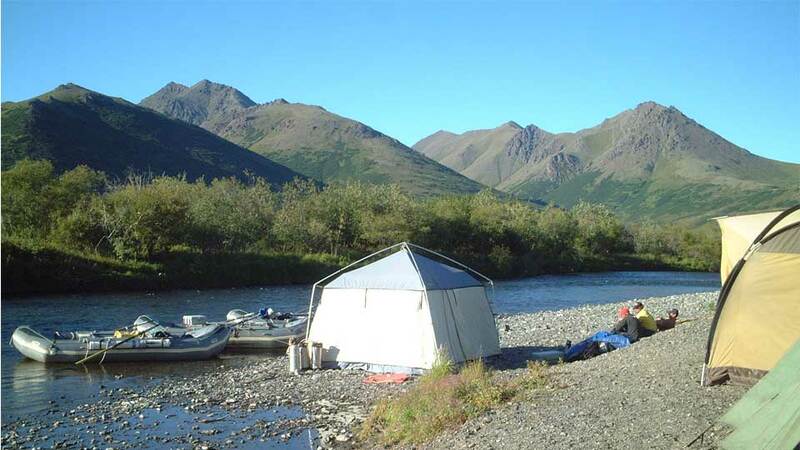 90-Mile float trips on the Kanektok River, also known as the “Chosen.” An Alaskan river located some 400 miles southwest of Anchorage, flowing through the majestic and massive (the fourth-largest National Wildlife Refuge in the U.S.) Togiak National Wildlife Refuge. During your float trip, you'll see many of Alaska’s big game and bird species which are common in the Refuge. 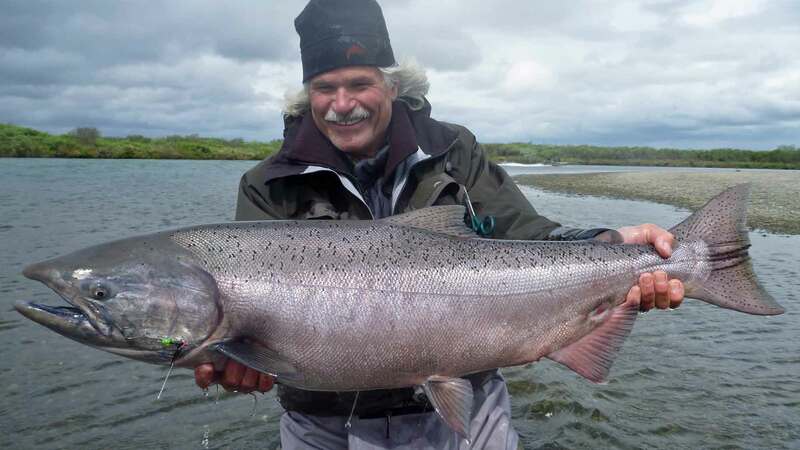 Dave Duncan and Sons have guided in remote Alaska for over forty years. The Kanektok River continually grows in size and changes in character as it flows from the mountains, through the foothills and finally merges with the sea. The Duncans' 90-mile Kanektok River Float Trips are limited to four weeks each season and eight guests per week. Two anglers per guide and top quality raft. 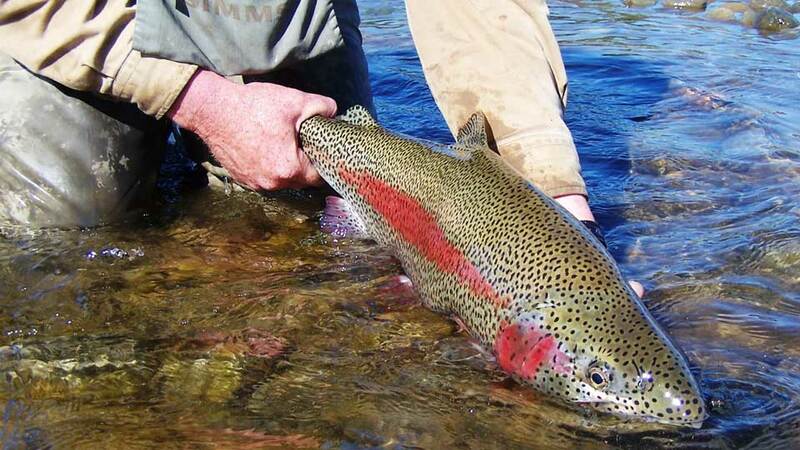 With incredible fly fishing for large leopard rainbows, salmon, dolly varden, and grayling. 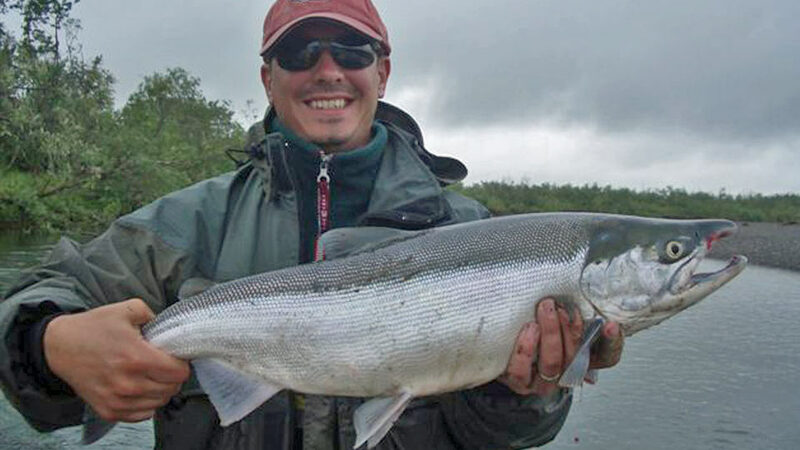 The Kanektok River is world-class because of its fish-ability. 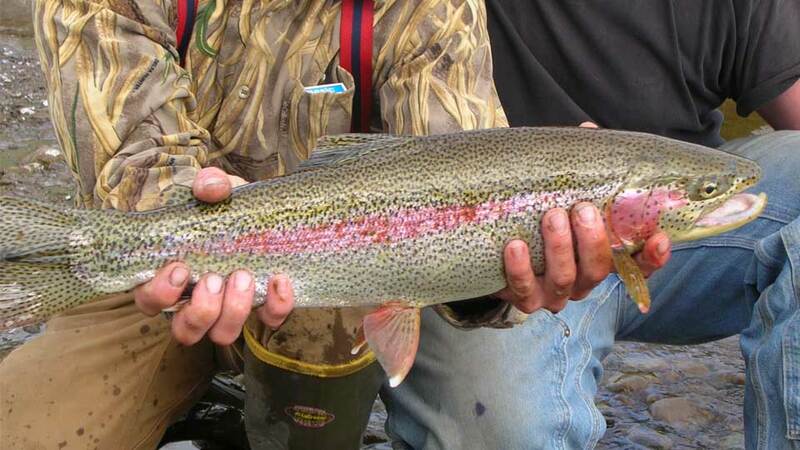 With its many braids and side channels, it feels like a much smaller river and is ideally suited for fly fishing. 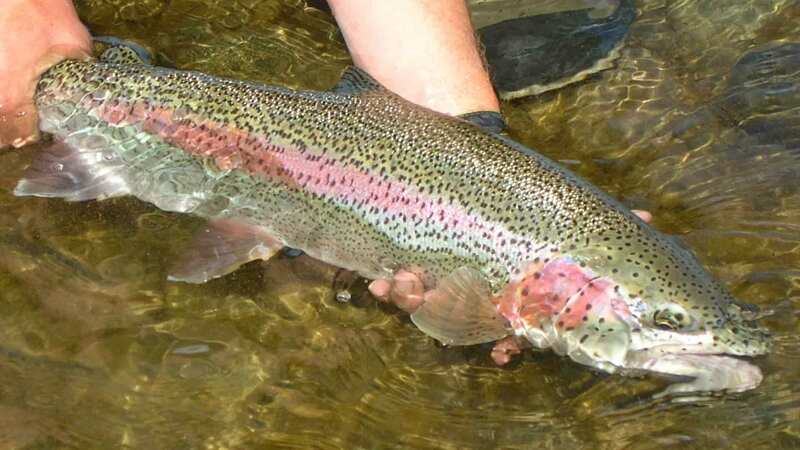 Strict catch-and-release fishing, with the occasional exception of taking a dinner fish or two. The upper Kanektok River has a hook size regulation of nothing larger than #1 or 1/0. Single debarbed hooks are to be used at all times. 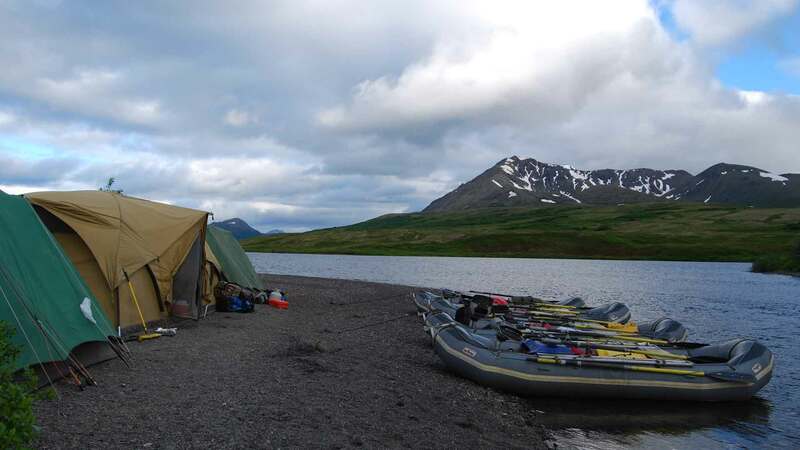 The Float Trip: You'll take a float plane flight to Kagati Lake, an isolated wilderness lake. Here, you'll meet up with the Duncans' guide team and begin the 90-mile float trip downriver to the village of Quinhagak, where the river meets the ocean. 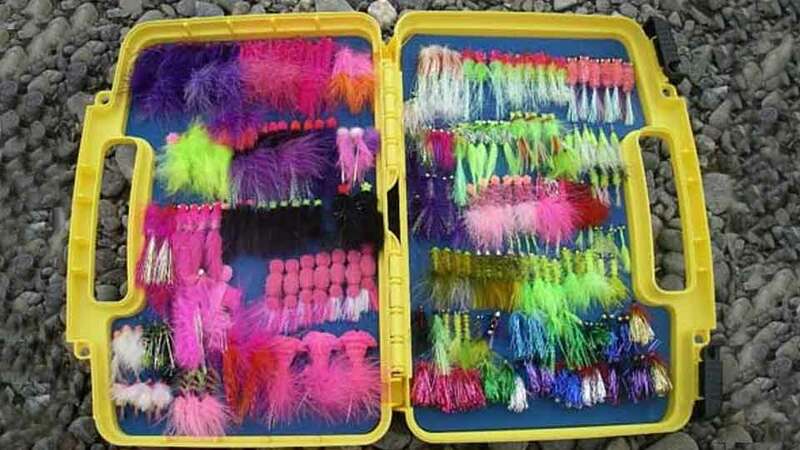 Seasons: Late June and July, you'll target sockeye, chums, pinks, king salmon, leopard rainbows, dolly varden, and grayling. 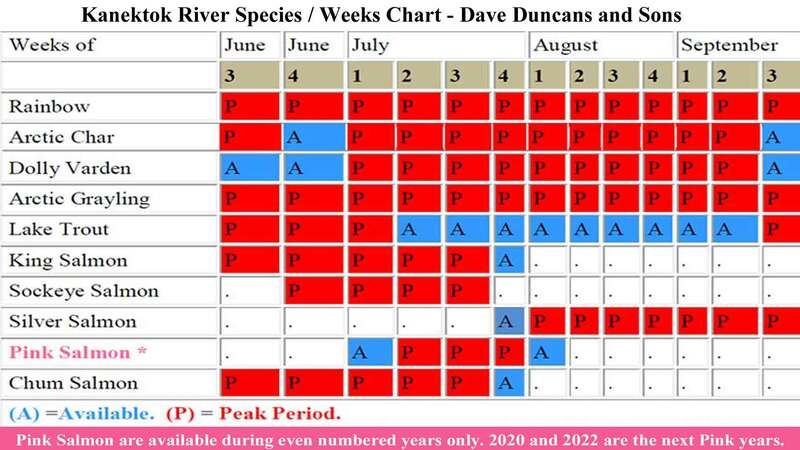 In August, Silvers and Pink salmon are in the river. 2019 Season: July 18 - August 17, 2019. 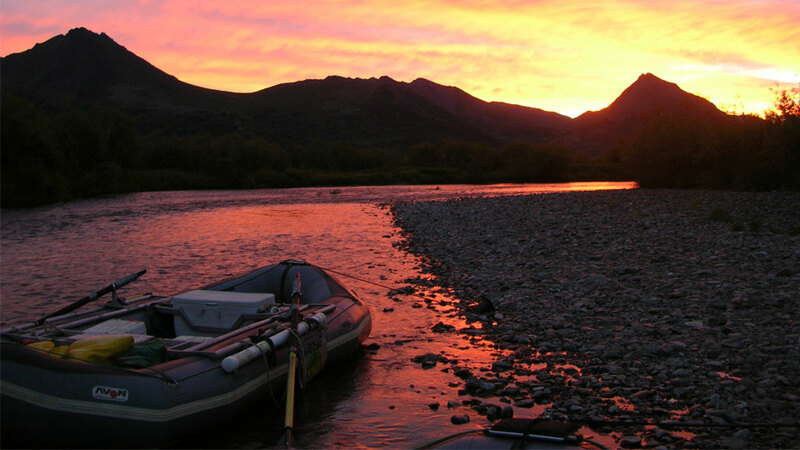 Rafts: The Duncans' boat system include high-end 16-foot Avon Pro inflatable rafts with rowing racks and floorboards to stand on while fishing. 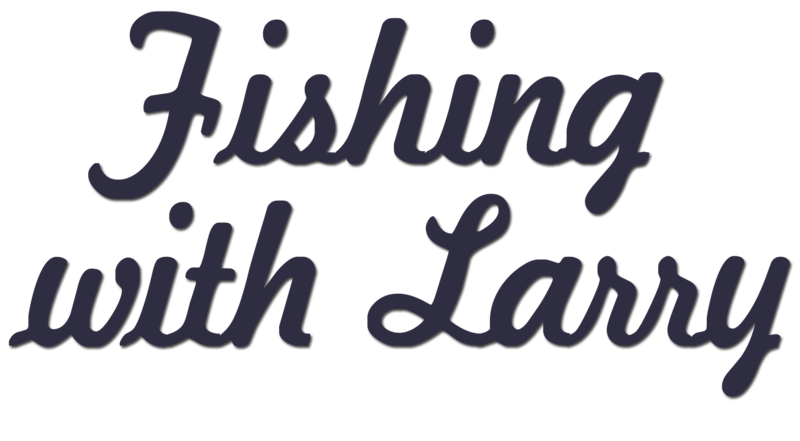 You'll have the option of walk-and-wade type fishing or float fishing from the boats. Guides: Their average guide has been guiding for them in Alaska for over six years and some as long as fifteen years, and each has gems of knowledge and techniques to share. The Duncans' Camp system includes high-quality tents and camping equipment. You'll sleep on comfortable cots. The meals are great in this beautiful remote setting. In efforts to preserve the beauty of this wilderness area, Dave Duncan and Sons have always practiced trace free camping. This means that absolutely nothing can be left behind. Sample fishing day: The cook and guides get up at 5:00 a.m. each morning and have coffee ready by 6:00 a.m. Breakfast is served at 7:00 a.m. and you're on the river by 8:30 a.m. You'll have a deli-style lunch on the river at noon. You'll usually stop at camp between 5:30 p.m. and 6:00 p.m. The night before the start of your trip, you'll fly from Anchorage to Bethel Airport and overnight at Papa Bear Adventures. (Airfare is not included.) The overnight stay at Papa Bears is required (approximately $80.00, and not included in the package) and includes breakfast the next morning. Papa Bear Adventures will pilot the float plane to Kagati Lake, an isolated wilderness lake, surrounded by stately mountains. In 2018, this flight was $400.00 p.p. and is also not included in the package. In 2018, the return charter flight from Quinhagak to Bethel was $180.00 p.p. (also, not included in the package). 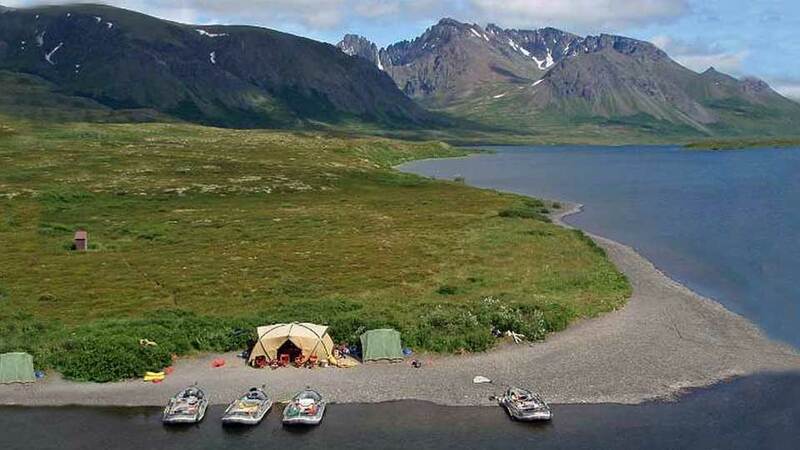 On the float trips, you’ll stay in a very comfortable camp that has warm, dry double-occupancy tents, hot showers, and great fishing—right out the front door. The camps are deluxe tent camps complete with spacious kitchen and dining facilities, a large social tent, and great meals. Each trip is limited to eight guests. 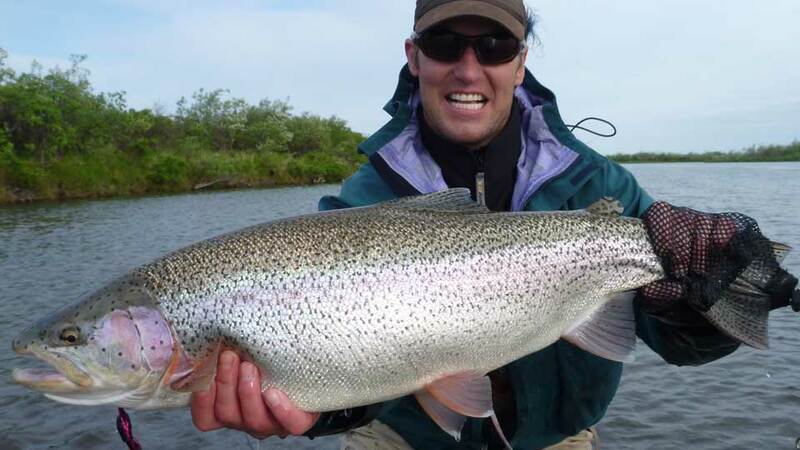 Guided fishing, meals at the camp, non-alcoholic beverages, and use of all deluxe tent camping and boating equipment. Airfare, overnight in Bethel at Papa Bear Adventures ($80.00), alcohol, gratuities, fishing license, King Salmon Stamp (if in season), fishing equipment, and anything not mentioned under inclusions. The cook and guides get up at 5:00 a.m. each morning and have coffee ready by 6:00 a.m. Breakfast is served at 7:00 a.m. and you're on the river by 8:30 a.m. You'll have a deli-style lunch on the river at noon. You'll usually stop at camp between 5:30 p.m. and 6:00 p.m.